If yes on both, then first create a "Tour"
Do we know how many competitions and rounds will be included in a tour or competition? Does your competition multiple different course layouts for different classes? "Add new competitions" from scratch. Visibility of Copy/Add buttons depends on the current state of the related round/competition. Make sure that competitions have correct start times after done with the structure, since start times are used to sort competition structure in multiple places in the system. 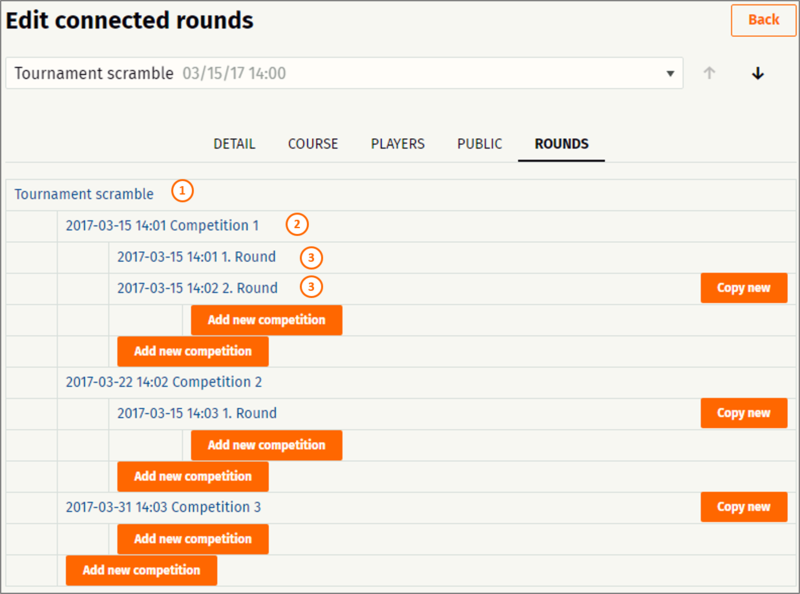 More information about creating rounds and copying competitions can be found here.